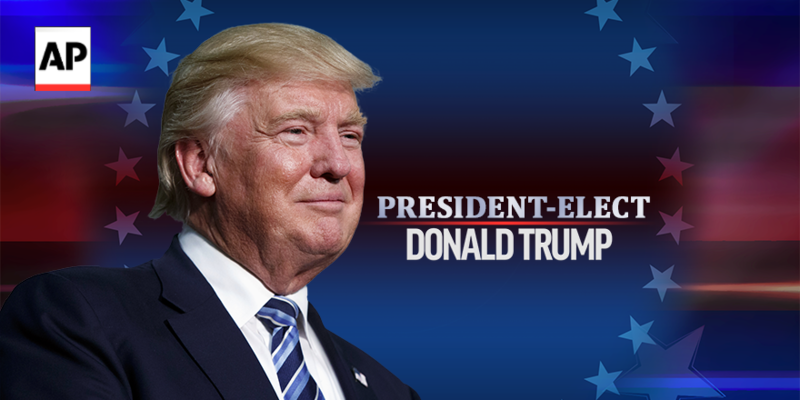 Believe it or not, Donald Trump managed to win the presidential election Tuesday night, according to the Associated Press. 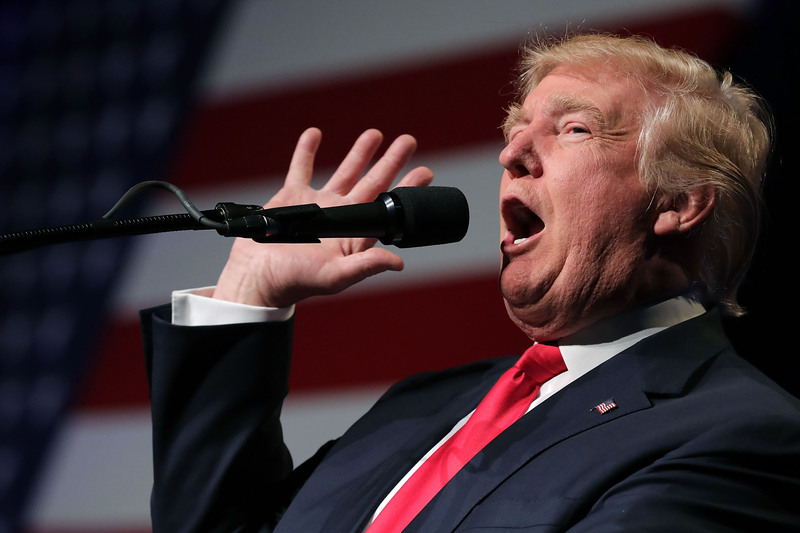 Although many of the polls ahead of Election Day pointed to a Hillary Clinton win, Trump had long touted the support of a "silent majority." His majority may have been silent, but his presidency won't be — so if you're not a "Make America Great Again" supporter, it's time to start some breathing exercises to cope with the Trump presidency. Trump defeated Clinton on Tuesday by winning a greater percent of the popular vote. In particular, he locked down some crucial states like Florida and Pennsylvania, which allowed him to secure enough electoral votes to edge out his Democratic challenger. Although the majority of voters have spoken, there's ought to be a large portion of the electorate worried about what the future holds, given Trump's polarizing and unpredictable campaign for the White House. If you're one of those worried voters, here is your guide to staying calm. (Spoiler alert: It doesn't involve moving to Canada.) In all seriousness, anxiety — about Trump or otherwise — is nothing to joke about. Consult a medical professional if you feel severely stressed, but consider these breathing and mediation techniques if you need to relax after a very stressful Election Day. This simple-yet-mesmerizing GIF shows a series of shapes unfolding, but according to Mic and several Twitter-ers, it's the answer to anxiety-induced stress. As the GIF's caption says, take deep breaths at the pace of the GIF in order to calm down. Inhale as the shapes unfold, then exhale as they collapse back into each other. If you can relate to one uncharacteristically emotional Cristina Yang, then you may feel like assuming the fetal position is the appropriate reaction to a Trump presidency. You're not wrong, but you need to know a few important things, according to The Daily Mail. To soothe anxiety, lie on your back and curl your knees toward your chest, relaxing your shoulders and lowering your chin. In that position, take deep breaths, allowing your body to move up and down with your breath. Roll your body to the left and right while you breathe to help massage your back. Last year, a study came out of Indiana University that proved watching cat videos can help to relieve anxiety. It can't be a coincidence that the study was published on the very same day that Trump announced his campaign for president, right? Consult your favorite cat video, and send it to a friend while you're at it. Several yoga poses are useful for reducing anxiety, but let's stick with the cat theme for now. If you're familiar with yoga, spend at least a couple of breaths in the cat/cow pose. If you're not familiar with yoga, simply situate yourself on your hands and knees. As you begin to take deep breaths, lower your back while raising your shoulders to get into the cat pose. Then, arch your back upwards and lower your shoulders to assume the cow pose. Sync your breaths to the movement for the full effect. No cats required here, but it couldn't hurt to get a high-five from one if you can. After you've done so, try a breathing technique called progressive relaxation. According to Time, this technique works by relaxing one muscle group at a time, moving upward from your toes to your head. As you take in a deep breath, tense the muscles in one area of your body — feet, legs, arms, hands, etc. As you exhale, release the tension and let go of all the Trump-induced stress. According to Medical Daily, the benefits of meditation can range from reduced anxiety to enhanced immune system function. Meditation can take many forms, but ultimately, it's important to find a comfortable position, whether that's seated, lying down, or moving about. Then, you can block out distracting thoughts by focusing on what you're experiencing in the moment (such as your breath) or a personal mantra (probably not "Make America Great Again"). If you stayed up late watching the election coverage — perhaps in a hopeful attempt to view a Clinton comeback — then the best thing for your anxiety may be to get some sleep. Self reports that a particular song, called "Weightless," can help you fall asleep and reduce anxiety. Even if you don't need the song to put you to sleep, get some shut-eye before facing the world with Trump as president. If the thought of Trump making his way to Washington, D.C., scares you more than a little, you're not alone. The entire country — Trump supporters and haters alike — could probably use a collective deep breath as we move forward from the chaos of Election 2016.